Self care has become an obsession with the millennials. While the term had existed long before hashtag love yourself was ever trending, it was only recent that this noun was used one too many times as netizens give importance to their overall health & wellness. While there are many ways you can practice self care, let it be reminded that it is not limited to luxurious me time at the spa or getting your nails done. It goes way beyond feeling good for a brief moment. I believe self care is a long term commitment with yourself, to protect your own well-being (physical, mental, social, spiritual & emotional) & to find ways to do this regularly. There are many ways on how you can practice self-care without putting a hole in your pocket and here are some of my favorites. Oftentimes we put aside what we like or love to do for what we need to do. While adulting & daily life consist of work, chores & errands, know that taking time to truly enjoy what you like to do is the easiest way to practice self care. You don’t need to spend nor go out to do something you enjoy. It can be a lazy morning one weekend reading a book or playing a video game. It can also be listening to your fave playlist, podcast or binge watching to your fave TV series. Anything you really like doing that you tend to rush on most days like taking long showers or sleeping in for a day! Working out has proven effective in producing happy hormones aka endorphins. Whether you’re a gym noob or not, you’re bond to feel that jolt of happy vibes after a good sweat sesh. So many ways to break a sweat: run, lift weights, yoga, Pilates, boxing, CrossFit, dance, do a sport such as badminton, tennis, volleyball, basketball. Food fuels our body, mind & spirit. More often than not, we nourish our body through what we eat & drink. One way of caring for ourselves is by eating right & having healthier food choices. But have you ever thought about nourishing your body by using products that are natural & organic? The skin is the largest organ of our body yet most of us (ahem) tend to not give enough TLC to it & same goes for our hair which is our crowning glory. 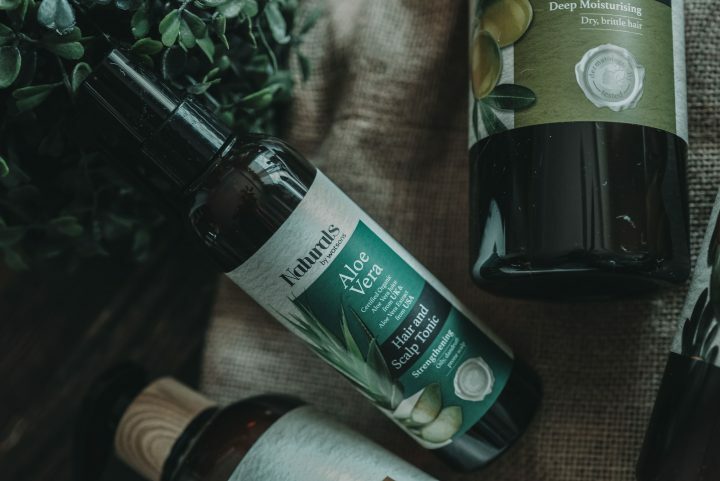 Nourish your body not only from the inside but also from the outside by using products that are free from paraben, colorants and other harmful ingredients. It may seem intimidating to find products like these but I’m happy to tell you there’s Naturals by Watsons that are exclusively available at www.watsons.com.ph, The SM Store & Watsons stores. 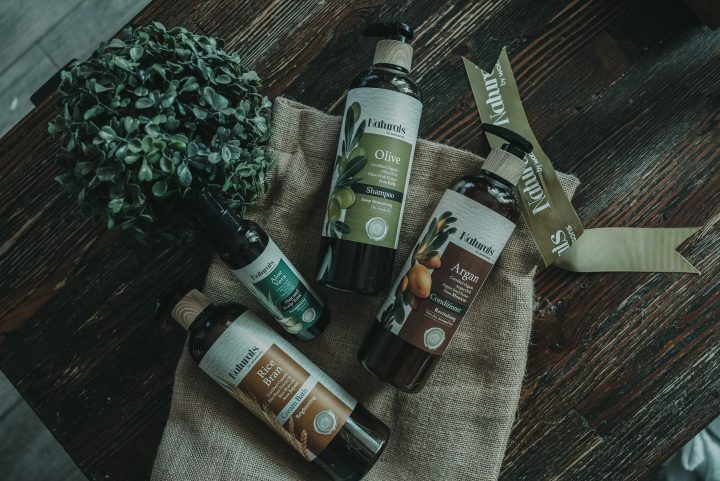 Naturals by Watsons is a brand that offers products made with certified organic ingredients sourced around the world. What’s good though is each product contains “double the power” of its active ingredient to enhance efficacy. Best part? They’re very affordable! I’ve been trying to make better choices the past few years: I workout regularly, avoid stress, get enough sleep and go for healthier food but honestly it was only recently that I’ve been conscious with the products I use for my body. 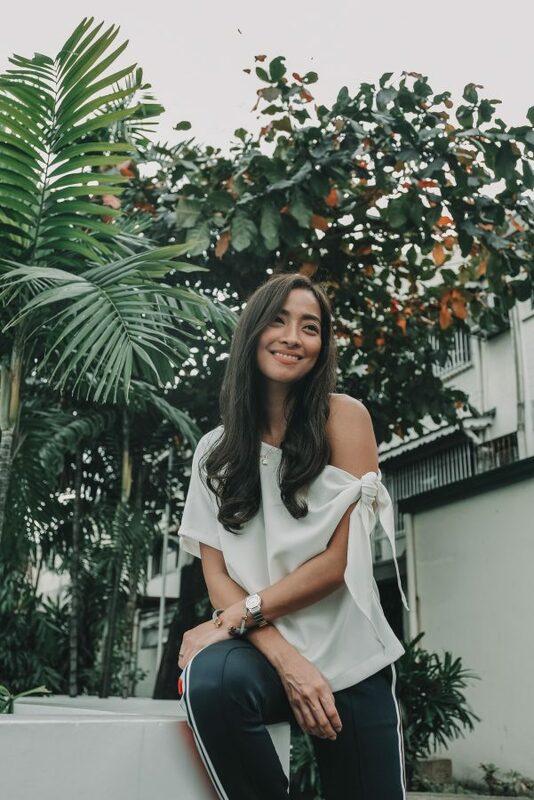 While I still have my go-to products that aren’t organic nor purely natural, I love adding new ones that are more gentle to my hair & skin like Naturals by Watsons. Naturals by Watsons Rice Bran Cream Bath, Php 199. 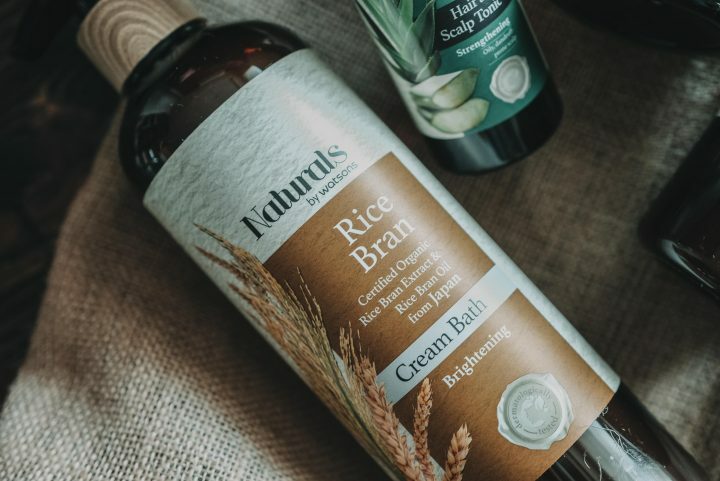 One of Japan’s best-kept beauty secrets, rice bran has been used for centuries to brighten and even out skin tone, for luminous-looking skin.This cream bath gently cleanses the skin with a soothing soap-free formula that releases an airy foam. Natural Rice Bran Oil is rich in antioxidants and Vitamin E for healthier and more radiant skin. Organic Rice Bran Extract has a powerful antioxidant to brighten and rejuvenate the skin. Creamy bath wash that’ll make you want to lather on your skin longer? Yes please! A few pumps are all you need to cleanse your whole body. Love the olive scent that leaves a trail just enough to linger on your skin. Plus it doesn’t give me that squeaky clean finish. Olive Hair range provides intense and lasting hydration for hair. 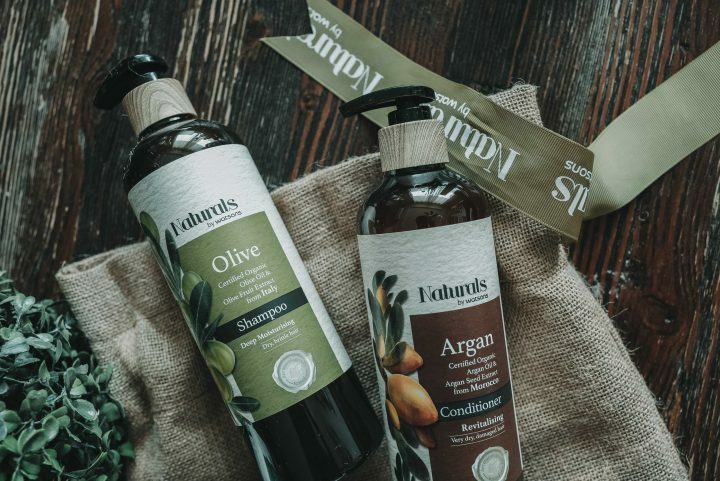 With an aromatherapy scent, the gentle formulas capture the goodness of the Mediterranean and infuse the hair and scalp with moisture. This shampoo cleanses the hair and rebalances moisture to revitalise the hair and scalp. Organic Olive Oil is rich in vitamins and natural fatty acids. Natural Olive Fruit Extract is rich in antioxidants and hydroxytyrosol to restore the hair’s vitality. Argan Hair range is formulated with Moroccan Argan Oil to nourish and revitalise hair. Known as “liquid gold”, this precious oil improves hair elasticity for more resilience. This conditioner contains essential nutrients to repair damage and replenish moisture to keep hair soft and supple. Organic Argan Oil nourishes and protects hair with Vitamin E and essential fatty acids. Natural Argan Seed Extract helps boost the hair’s moisture and shine. I am sucker for hair products. I have a handful of shampoos & conditioners that are on heavy rotation. So I was thrilled to try the Olive Shampoo & Argan Oil Conditioner when I first discovered it a year ago. I love the faint smell of olive on my hair! As for the Argan conditioner, it’s something that I’ve been using since I was a teen so it was a no brainer for me to love Naturals by Watsons’ Argan conditioner. So happy that both products work well on me. No oily scalp nor flaky skin (which usually happens when there’s too much oil in my hair products). My hair is soft & shiny and I’ve never been happy. A lot of people have complimented how it looks—healthy! A refreshing formula that contains Salicylic Acid to prevent dandruff and regulate sebum for dry and oily scalp. Organic Aloe Vera Juice nourishes the hair and soothes dry, irritated and itchy scalps to prevent flaking. Natural Aloe Vera Extract replenishes the hair’s moisture, repairs the skin barrier with conditioning effect. First time to use a hair tonic so I tried using it once a week. Then gradually tried it twice a week. Last week I used it every other day or on days I would wash my hair to rid of flakes & oil from my scalp. Who says going for products that use organic ingredients can put a hole in your pocket? So glad there’s Naturals By Watsons to nourish my hair & skin! If you’re curious to try Naturals by Watsons head on over to www.sampleroom.ph & get samples for FREE! Yes! What are other self care practices you do? Please share!